﻿ Why your business needs a Responsive Website? Why your business needs a Responsive Website? What is Responsive Web Design and why do you need one? Responsive Web design is the approach that suggests that design and development should respond to the user’s behavior and environment based on screen size (Desktop/Laptop, Tablet, Smartphones etc. ), platform (Windows, Android, iOS etc.) and orientation (Landscape, Portrait). The practice consists of a mix of flexible layouts, images and an intelligent use of CSS. As the user switches from their laptop to iPad or Smartphone , the website should automatically switch to accommodate for the resolution, image size and scripting abilities. In other words, the website should have the technology to automatically respond to the user’s preferences. This would eliminate the need for a different design and development for each new gadget in the market. Mobile web has overtaken the desktop. Not only mobile web has overtaken the desktop, but also usage and adoption is done growing at a much faster rate than the desktop did. In the future, the vast majority of visitors to your website will be on a mobile device. Your regular website is no longer Enough! There is a fundamental design difference between a regular website and a responsive website. Do you know the size of your cell phone screen? What about the screen size of the cell phone you had five years ago? Screen sizes are constantly changing-and we see this not only in cell phones, but in desktops and tablets as well. 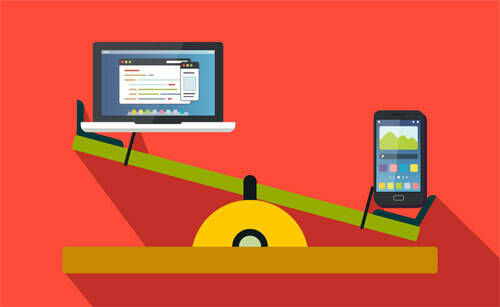 As new devices and displays are developed, screen sizes are constantly changing. With a responsive website, you do not need worry about updating your site for new devices. Instead, your website will automatically be displayed based on the size of the user screen. 80% of Urban Indians use a smartphone. Smartphones are not only used for calling but have become a part of urban lifestyle. With ever dropping data charges, internet usage on mobile devices have grown immensly. As you can see, the mobile web is clearly trending up and has a lot of room to grow and it can grow your business too. When Google makes a recommendation, you better take it seriously. When Google recommends something, we should probably listen. On the Google Developers website, "Google recommends webmasters follow the industry best practice of using responsive web design, namely serving the same HTML for all devices and using only CSS media queries to decide the rendering on each device." Yes, you saw it right- Google actually recommends that your website should be designed and developed using responsive design and development techniques. Why would Google make such a recommendation? 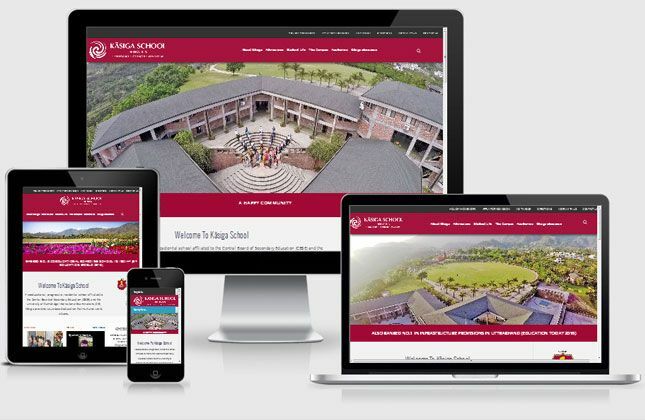 Responsive websites provide a better, more consistent user experience-plus, many experts suggest that Google prefers responsive sites, as they are easier to crawl (overall, resulting in search engine optimization benefits). Currently, most of the urban Indian population own a smartphone and website traffic from mobile devices is increasing on daily basis. In fact, there are currently more mobile devices on earth then their are people. And every month mobile usage continues to grow, so every month more and more prospects and customers will view your website from a mobile device. You need a website that enhances the usability of your website on their mobile devices to keep yourself ahead of your competition.